Enermax, the PC chassis, components and accessories specialist, has launched a new 120mm high-pressure fan called the D.F. Pressure. The headlining quality of the D.F Pressure fan is a patented system designed to shake off dust, to prolong the lifespan of the fan and help it run more quietly and smoothly. 'D.F.' in the product name stands for 'dust free'. 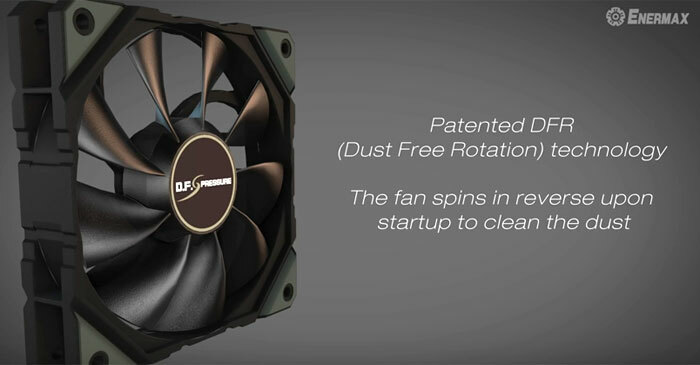 Enermax employs its patented DFR (Dust Free Rotation) technology to power these fans, so it may have been more logical to name them DFR Pressure fans. Looking more closely at the DFR technology, these fans spin up in reverse at their highest RPM setting for 10 seconds when you boot up your PC system. Enermax says this action "allows the fan to swiftly blow away dust in order to prolong the lifespan". This self-cleaning "prolongs the product lifetime and extends the intervals for fan and system cleaning maintenance," according to Enermax. Elsewhere in the design Enermax utilises its custom high pressure fan blades providing up to 4.812mm-H2O of pressure while maintaining noiseless operation. Particularly clean and tidy types will be happy to know the fan blades are also detachable for easy cleaning. The D.F. Pressure fans use Enermax's patented Twister Bearing for lower noise and longer life. These fans offer, as you would expect, PWM speed control to auto adjust rotation speed in response to cooling requirements. 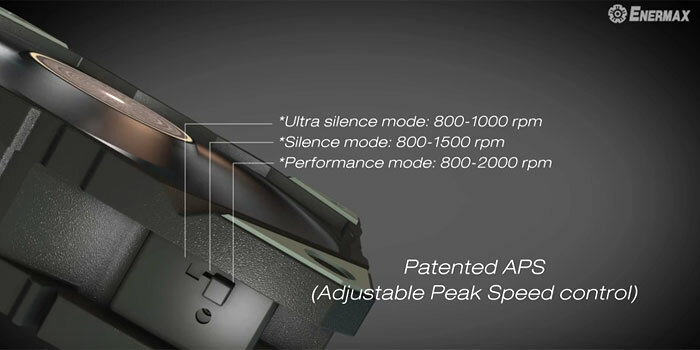 Enermax augments this system with another patented system, dubbed APS (Adjustable Peak Speed). APS allows users to set their preferred peak fan speed range and in this case offers three ranges, as shown below. Enermax says that its D.F. 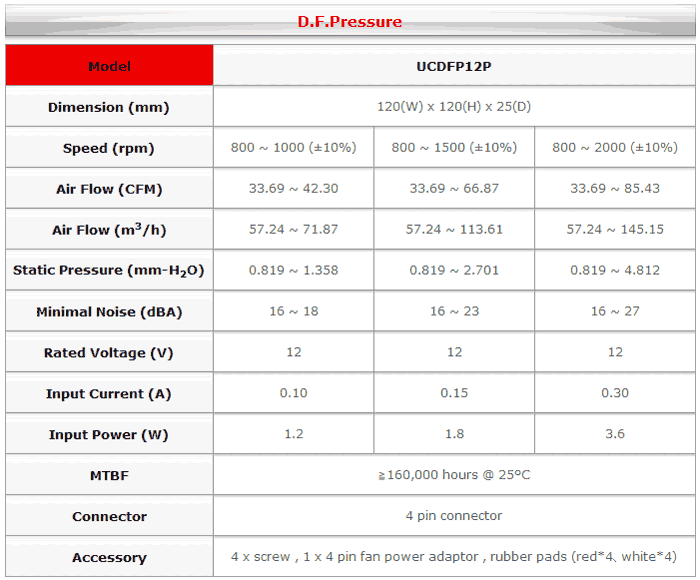 Pressure fans are ideal for use in CPU and chassis air cooling or for fitting in liquid cooling radiators. These fans will start to become available next month. How about just including a filter with all your fans? Or making the fans removable and easier to clean the normal way? So a fan that can reduce the life of the components in your PC to allow itself to last longer? I think I'll pass on this one!